Love coconut shrimp? 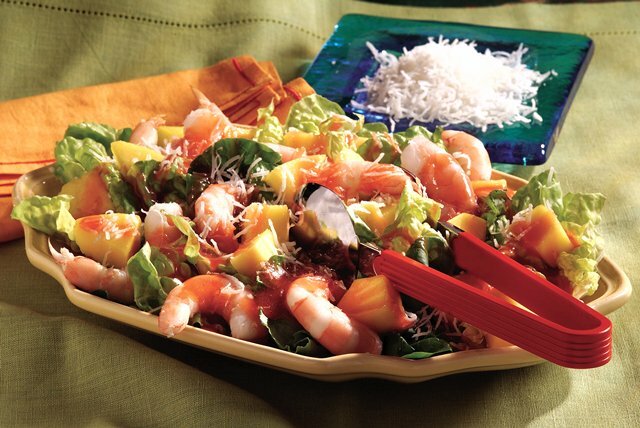 Then this island-inspired salad, featuring mango, cooked shrimp and flaked coconut, is right up your alley. Take a walk with your family after enjoying this quick-and-easy meal. Substitute papaya or pineapple chunks; star fruit or kiwi slices; or orange or grapefruit sections for the mango chunks.